So, 2 months ago I got a text from my dear Team Wimpy member and friend Liz Pears, asking if I fancied helping her out with a bit of “motivational instructing” at a Nervous and Novice camp in May… it seemed such a long way off and I’m at the stage in life where I will literally do ANYTHING to help anyone, so I agreed!! The day came, Liz sent me my agenda with my groups (plural) that I would be allocated and turns out I was set to impart wisdom upon 4 groups of 5 riders over the day ??? I work very much on the basis of what I would need to hear, my lovely groups were all made up of riders that lack confidence and self belief, not necessarily ability… just like me. The only thing I cared about was that I wanted them to leave my arena more confident about themselves than when they came in. “Today, I don’t give a sh*t about outline, engagement or learning half pass… “ I think I said this a lot!!! But actually, all I cared about was their confidence, happiness, self worth. This will make you as a rider long before getting your horses head down will. My first group were lovely, I was a little nervous but I just put myself in their shoes and realised I was the one to be afraid of!!! I bellowed at them, cheered them on and made them all gallop down the long side of the arena until they smiled the whole length!! We played pony games and spent some time without stirrups. 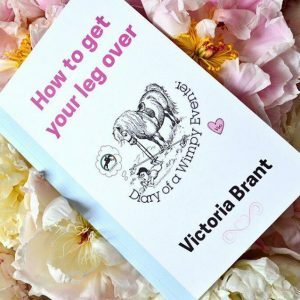 I explained how to drop from the hip, how to relax on a horse and learning to feel tension and how to roll it away. I repeated the majority of this format for the next groups, they were responsive, they all tried really hard and one lady in particular who came in very upset after being bronched with whilst getting on, made me so desperately proud seeing her in a forward seat cantering down the school!! At the end, I pulled them in and thanked them all, I confess to tearing up rather unprofessionally, but I was full to the brim with pride for what these ladies achieved. Tears of pride are the very best ones. I am so glad I pushed myself out of my comfort zone to do this, it was a brilliant day and I couldn’t have wished for a kinder and more lovely bunch of people to dust myself off in front of. Thank you to Liz, who always has such kind things to say about me, she is such a lovely person and a very, very good teacher. Thank you to my team wimpy ladies who came together on Wednesday for our first meet up which was very special (more to come on that!!) and to my husband who took me through my lessons the night before over a gin and tolerated my nerves yet again!!! Also an important mention for an absolute fantastic venue of Field Farm – Bring Your Horse On Holiday… I was taken aback at the facilities in offer and Carrot and I will be holidaying there for many years to come!! ?? Some lovely photos to treasure thanks to David Neve Equine & Events Photography ??? I’m a Canadian certified coach, and somehow have attracted a fair number of students who are nervous adult amateurs. 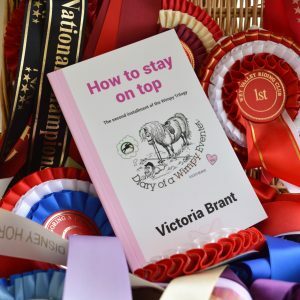 They’re the people who the competition-focused coaches avoid like the plague, but they need SOMEONE to help boost their confidence (if only to ultimately assist the long-suffering, and often totally unsuitable, horses in their lives!). I frequently think there’s a university out there somewhere which owes me an honourary psychology degree for talking these ladies down off the ledge, week after week … but though I’m toiling away in total obscurity doing it, I like to believe I’m making some small sort of difference.